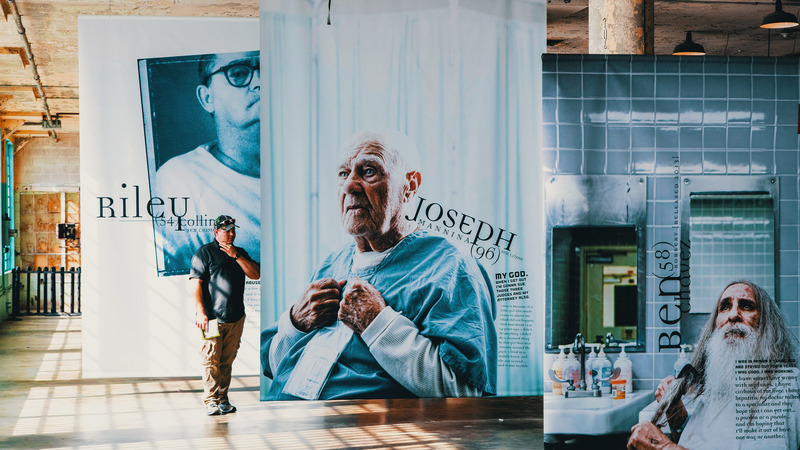 Prisoners of Age is an ongoing epic tale and photo documentary of North American elderly inmates spanning nearly 20 years. Now exhibited on Alcatraz Island. 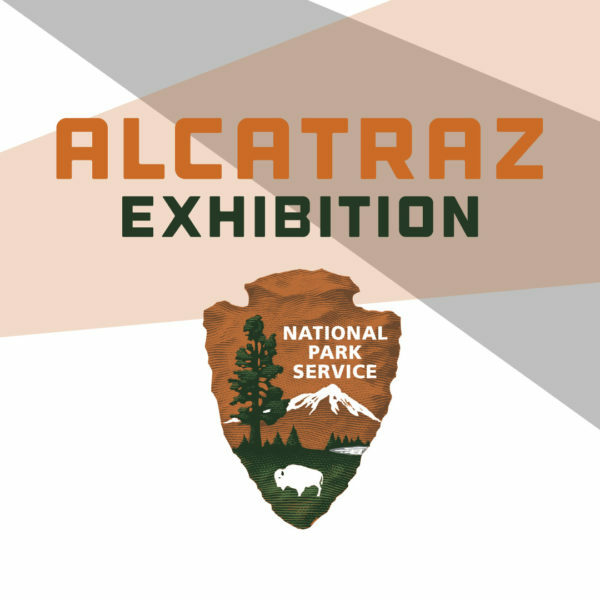 The Prisoners Of Age exhibition on Alcatraz exposes a secret world hidden inside America’s concrete and illusive cells—of which few ever catch a glimpse. 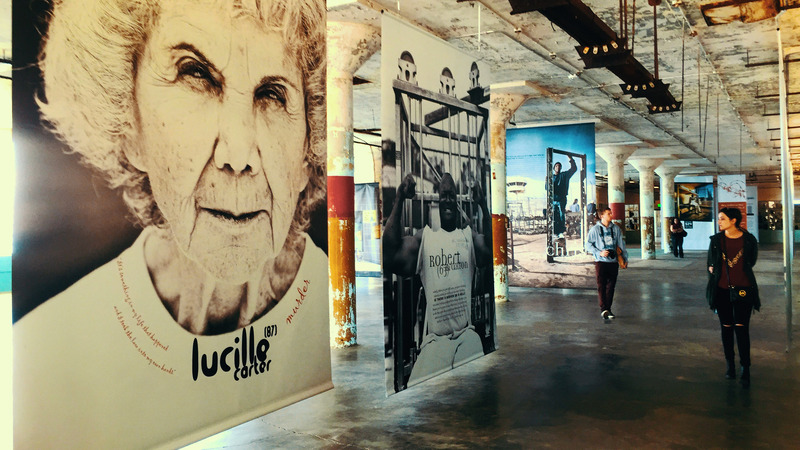 The Prisoners of Age exhibition is a momentous historic installation that delivers volumes of prison stories and larger-than-life images to over one million Alcatraz visitors. 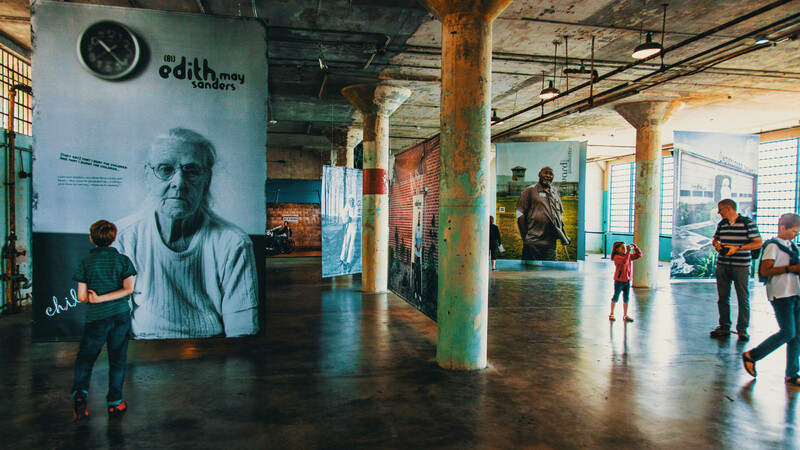 Replete with 70+ mass-scale photographs, each display contains gripping anecdotes told by inmates, guards and penitentiary wardens. 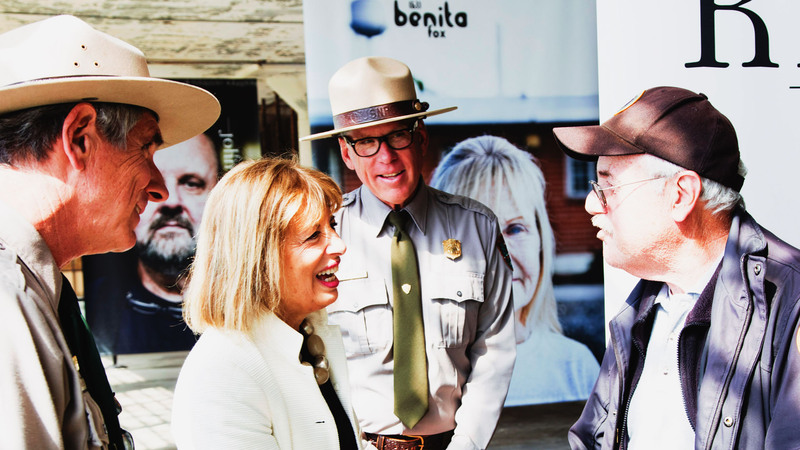 At the invitation of the National Parks Service, this award-winning Prisoners of Age exhibition is created and produced entirely by photographer Ron Levine, designer Michael Wou, and designer/ storyteller Russell Volckmann. 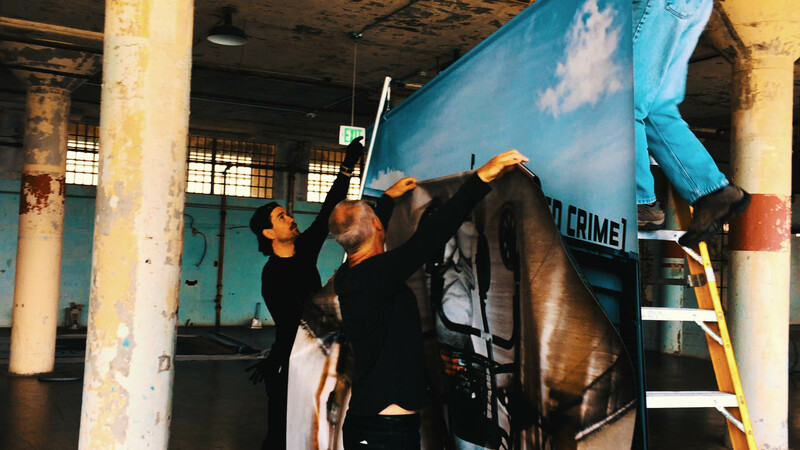 Held over for an entire year in the enormous historic Alcatraz Industries Building, the exhibition spanned an area greater than an American football field. We created a fitting Prisoners of Age brand logotype with arrangement of characters that would portend the feelings of bold, historic, heritage America, sober, prison, chains, under lock and key. 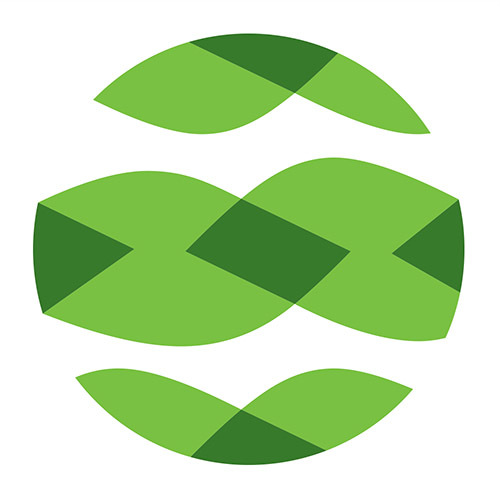 Due to the wordmark needing to work hard across a spectrum of photographs, graphics, promotions, and other brands—such as the US Parks Service—the logotype needed to be flexible in a number of environments, unencumbered by an additional logo symbol or icon. Several thematic directions are employed across designs as a framework for delivering the 70+ dramatic photographs and accompanying stories and anecdotes. 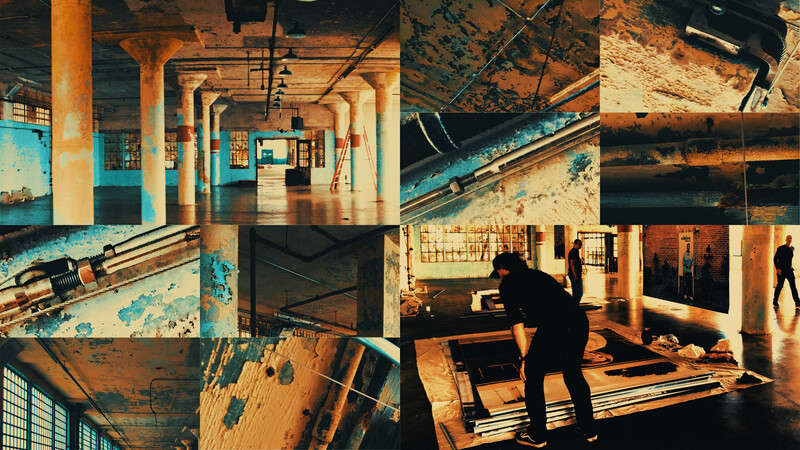 Emphasis on the Alcatraz environment, individual subjects, stories, and photographic compositions was key, while also maintaining continuity throughout an overall color and design framework. We scoured and tested hundreds of typefaces before settling on a handful of supporting typography directions. 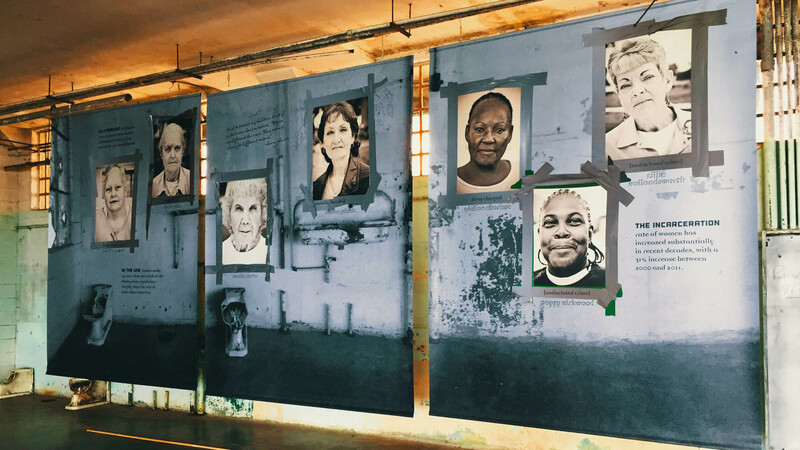 In some cases, we created localized standalone exhibits with their own unique themes—such as the Woman’s Wall (portraits below/ top), where we actually pre-photographed the Alcatraz wall to be used as part of the artwork—and make the experience intrinsically Alcatraz. 2.3 million Americans on the inside are invisible, having no voice and no interaction with society. Inmates are getting older too, with one-third edging well past middle age. 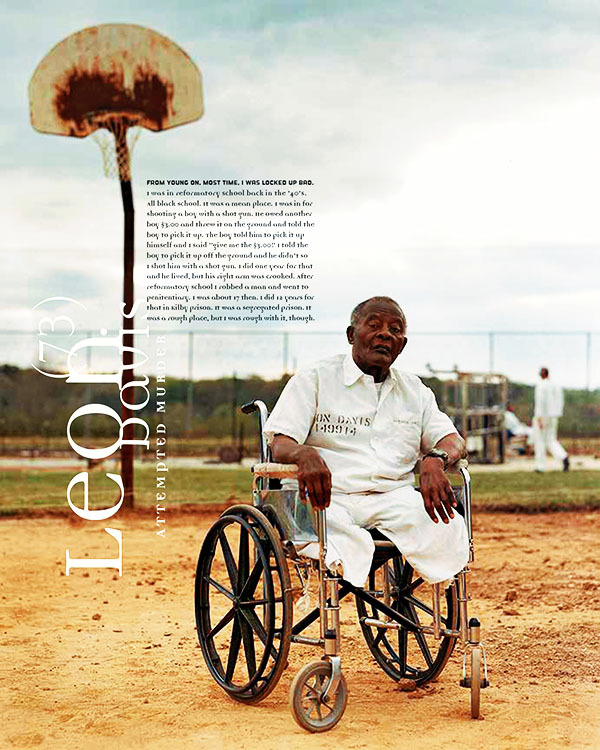 Prisoners of Age offers an exceptional cross section of millions of homegrown American stories—good and bad, uplifting, horrifying, inciting, happy, sad. Real adventures, comedies and tragedies. Never before seen or heard on the outside. We assembled volumes of moving anecdotes—interwoven with interesting historical facts—in order to generate these extraordinary stories. I started stealing when I was 15. I robbed banks. I always worked alone. In 1994, I was caught for attempted murder. 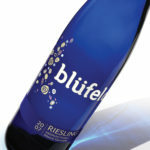 I had mixed booze and medications. Eight months ago I got married to a woman my age and it’s going well. That’s why I want my release, to live with her. 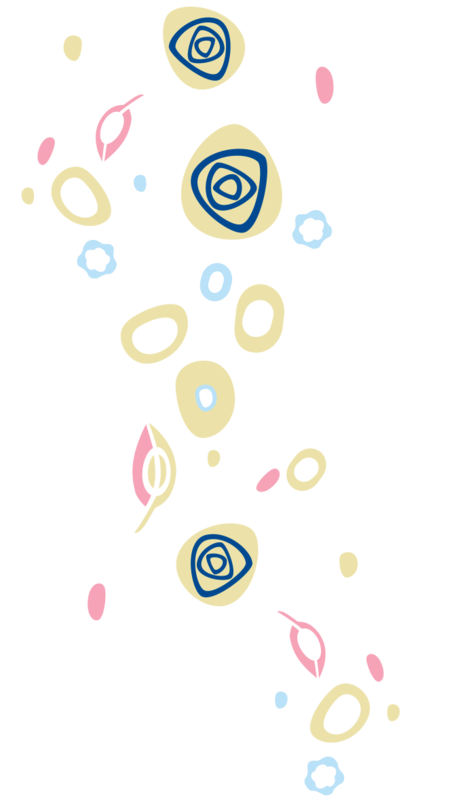 In 1996 I got lung cancer. Now I’m getting treated but they won’t release me. They’re waiting for me to die. I lost 50 pounds since October 1999. I regret committing the crime that sent me here, but I think the system isn’t fair for the situation I’m living now. There should be improvements, especially when someone has cancer. They should let them go live with their family. 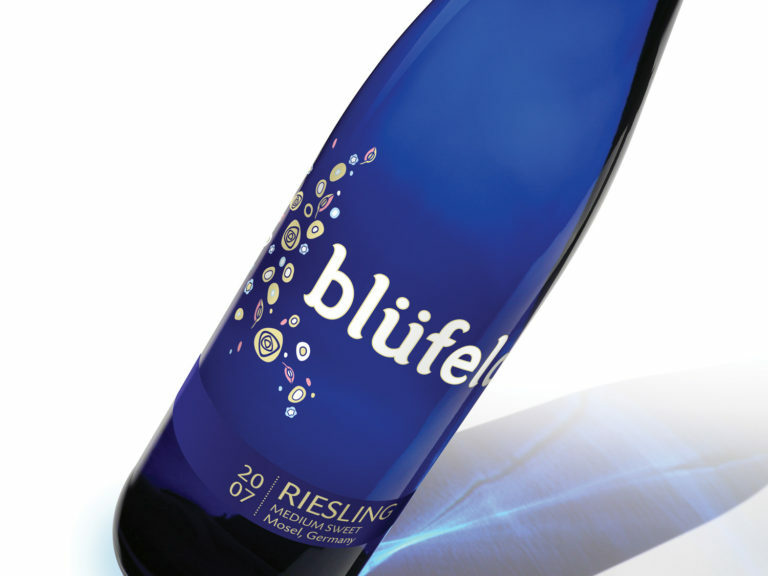 I was twice refused conditional release. 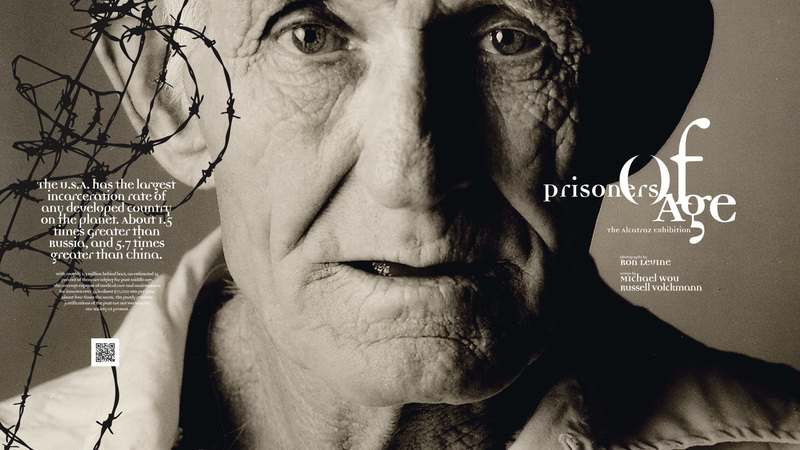 Medical care and maintenance for inmates age 55+ are four times the average at between USD $70,000—120,000 per year. 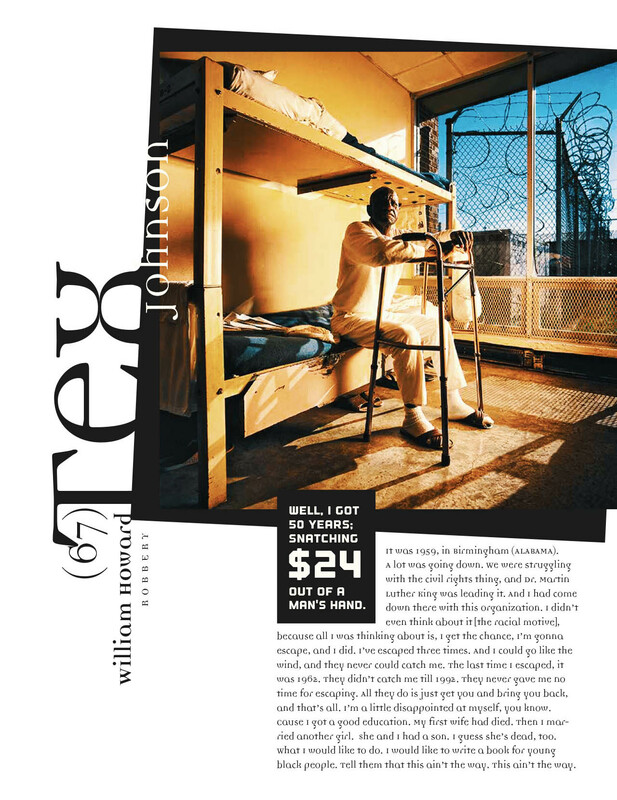 Still higher for the fastest growing group of geriatric prisoners needing special care. With fewer than one percent of elderly criminals committing crimes after release, fresh answers may be worth exploring. You decide. Entering the penitentiary world to obtain photos and interviews required years of extensive research, planning, logistics, permissions and government cooperation. 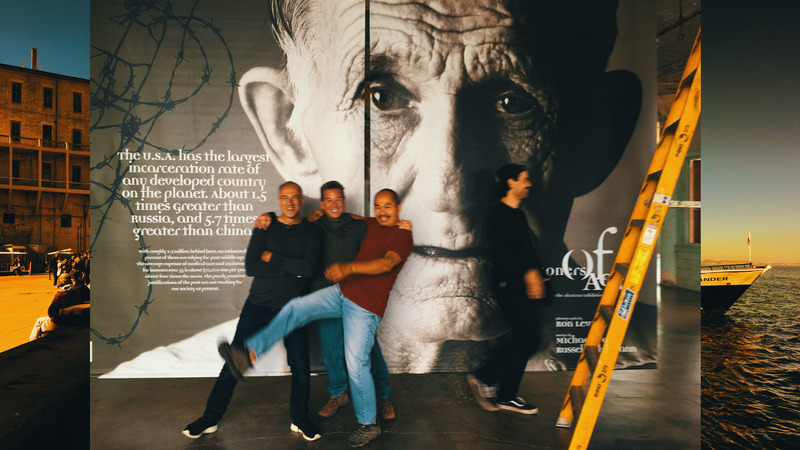 We were rewarded with a myriad of never-before-possible photo sessions and revealing conversations with inmates and prison officials across North America—forming a rich platform for this massive photo documentary project, and finally the Prisoners of Age exhibit itself. I have to stand back and watch 100 wheelchairs go to lunch when they call chow, and I have to ask myself, ‘What are we doing here? Planning the Prisoners of Age exhibit required a myriad moving parts, consulting and complying with government regulations, plus communications and coordination with the National Park Service and related organizations. It also meant studying building blueprints, and several pre-planning visits in order to take measurements, and survey the physical structures. Photographing Alcatraz’s Industries Building details in advance was vital to guide customizing the Prisoners of Age design and installation scheme. 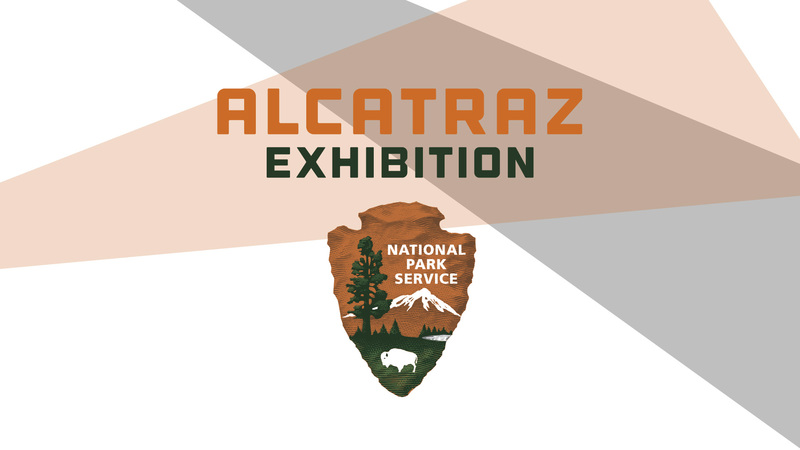 Alcatraz is an officially designated National Historic Site, and federal regulations specify safeguarding this national treasure including its original 100+ year paint, plaster, infrastructure, tubing, wires—anything of historic significance where we would need to tread lightly. Each and every point of exhibit placement required approval from the National Park’s Historic Preservation Planning office. Each installation point exposed a new set of unique challenges. 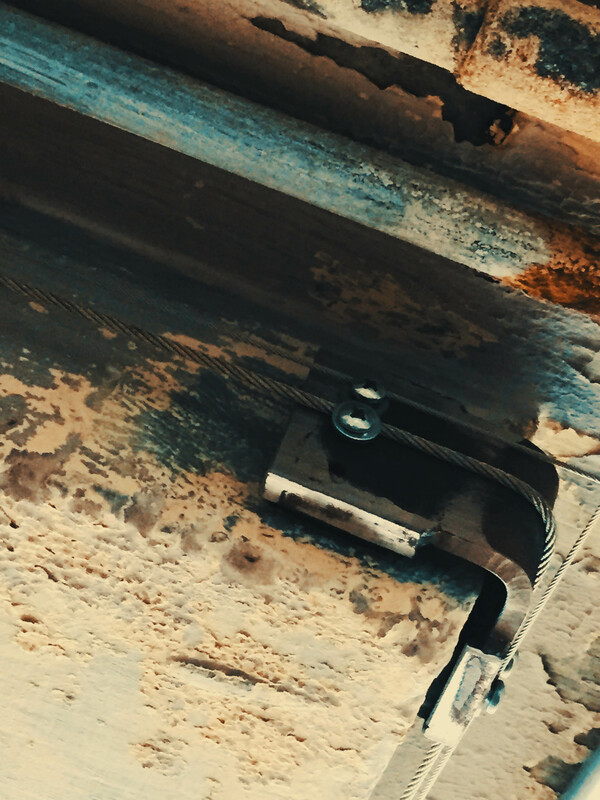 In order to preserve Alcatraz’s historic interior artifacts, we devised several artwork suspension schemes that included running airplane wire between columns. In order to protect the plaster and paint on the columns, we affixed the wire to braces padded with soft rubber standoffs around the top column finials. 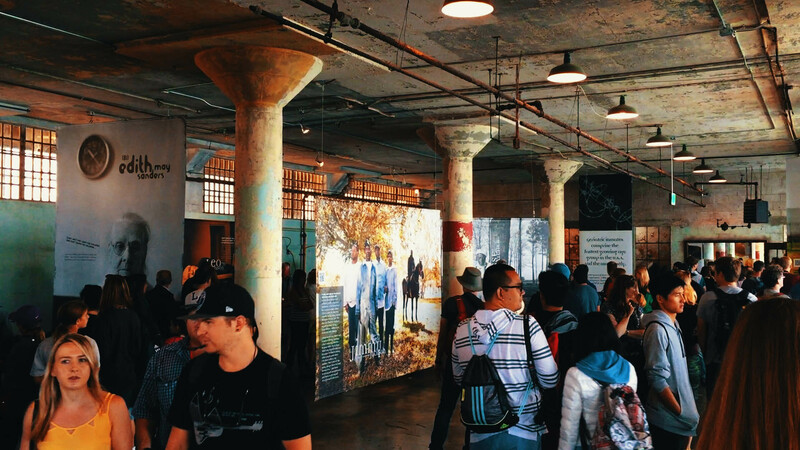 Alcatraz also allowed us to suspend artwork from various unused non-historic conduit and piping. The formidable trick, however, was separating the historic from the non-historic elements, and taking great care to protect the historic elements while doing the heavy lifting. Creative suspension scheme using airplane wire, corner braces with rubber cushion standoffs. We quickly adapted. By day two installation, work began going more smoothly. Alcatraz Island is located in San Francisco Bay, 1.25 miles offshore from San Francisco, California. That meant moving man, might and machinery across the Bay in modular measured manner escorted by Park Rangers on a ferry boat from Pier 33. Exhibit hardware and artwork assets were overseen and produced in Montréal, Canada then later shipped to people on the ground in San Francisco. We’d never done an exhibition like this before. Not on this massive scale. Enough photo-documentary banner expanse to fill a hall bigger than a football field. Over one million visitors expected. 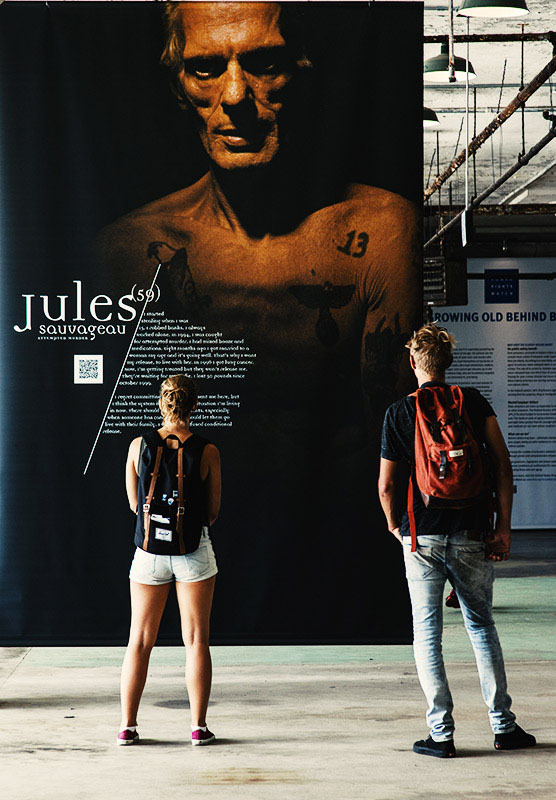 How to tell stories meaningfully, clearly, incrementally—so crowds can easily absorb the content, while still flowing naturally through the exhibition without getting bottlenecked? 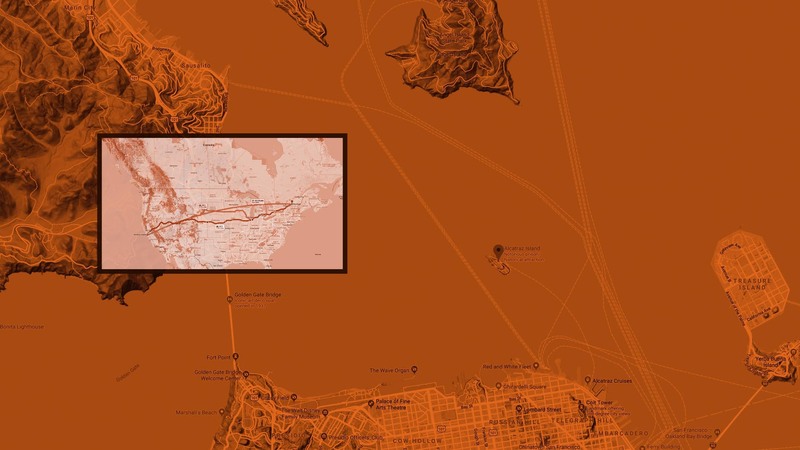 The answer was to create an epic-adventure screenplay, replete with all the archetypal characters imaginable; Identifying and sculpting an underlying compelling forces; Then segmenting the Alcatraz visitor journey into flowing, cohesive scenes. Defining that was challenge enough. Execution was Herculean. Brands, companies, projects, business, nonprofits—all need stories interwoven like a screenplay into branded experiences and business plans. To instill that adventure into every single touchpoint. That’s what makes people do flips and twists to interact and take part in what you believe in. That’s the tack that helped Prisoners of Age draw over one million visitors to Alcatraz that year.